Shake it off; It's the off season! Blue Sky Endurance News helps you reach - Your Sky. Your Limit. Referral Program: Don't forget about our ongoing referral program--with every customer referral, YOU get a FREE pair of socks! Phew--we've made it through triathlon season-- well at least we're finished talking about triathlon season (for now). Our previous newsletters covered all disciplines of triathlon, from the swim, to nutrition, to recovery. Many of us are winding down our triathlon season, looking forward to taking a much needed rest from the rigors of triathlon training. Some of us are probably dreaming of plenty of couch time and catching up on all the great shows we missed because we had to go to bed at 8pm. Now we can eat up, drink up, and be the sloth we've always wanted to be. End. Of. Story. Okay, okay, not so fast. Of course that's not the right thing to do! Luckily you have us to help you navigate these next few weeks and months. Yes, the holidays included! Remember it's holi-DAY, not holi-MONTH! 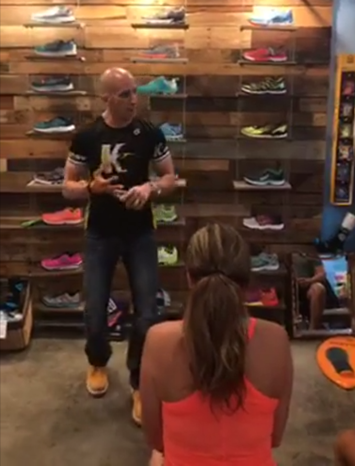 HR Training - now is the time to establish your base training so that when race season rolls around you'll be ready to ramp up and feel strong. In addition, you can add shorter workouts at the proper intensity based on HR in order to get the maximum benefit our of every workout. Strength Training- build and tone your muscles while increasing muscular endurance. The goal of strength training is to increase endurance, not become the next Mr/Miss Universe. Don't skip this important part of your week -- we're here to help you pump-it-up! Nutrition - we've talked about the importance of nutrition before but it's still important in you off-season. I know you didn't want to hear that... Proper fueling frequency, fueling timing and carbohydrate-protein fat balance each day and each meal/snack as well as before/during/after workout nutrition is important year round. Proper Hydration - Baby it's cold outside, so I'm not thirsty. Okay okay, I realize it's not cold here yet, but it will be... one day... I promise. Whatever the temperature, don't forget to keep drinking WATER. Yes sorry, I'm not referring to all the upcoming football tailgates or holiday party beverages. Staying properly hydrating is super important in helping your body run on all 6 cylinders. Proper Sleep each night - Shhhhh, she's sleeping. Now this might be your favorite part! Yes, please sleep. Sleep is vital to improve our recovery from training session and racing. Sleep deprivation can lead to increases in the stress hormone cortisol, decreased immune function, and decrease in production of Human Growth Hormone (hint hint, helps with tissue repair, meaning super important!). 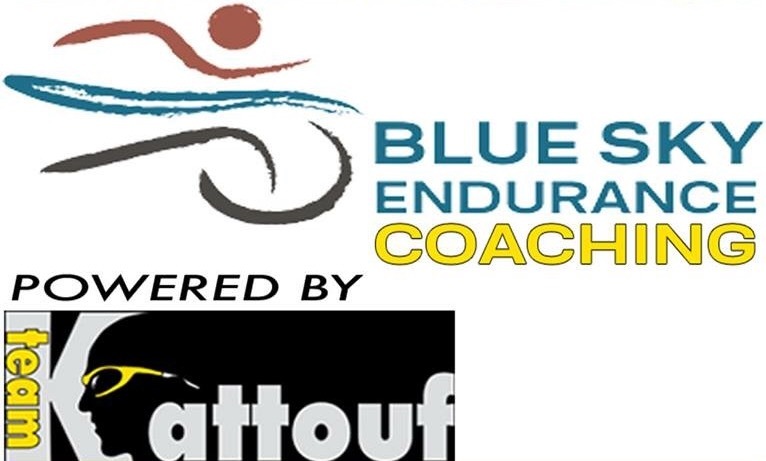 That's a lot to take in..however, to help you understand how to do all of this we're offering an awesome opportunity to be part of our Blue Sky Off-Season training program powered by Team Kattouf. Although we had our official info-session last week, you can start any time! Plus you can choose from a variety of coaching package options. From a basic training plan, to nutrition counseling-- we've got it all! Call or stop by the store to find out more. Now is the time to start planning for next year. **Not a triathlete, not problem. Our training programs are great for ANY athlete! These programs have rolling admission so contact us and we can help you achieve your goals in ANY sport at ANY time! Each month we're going to scour the internet to see who 'wore it best'. 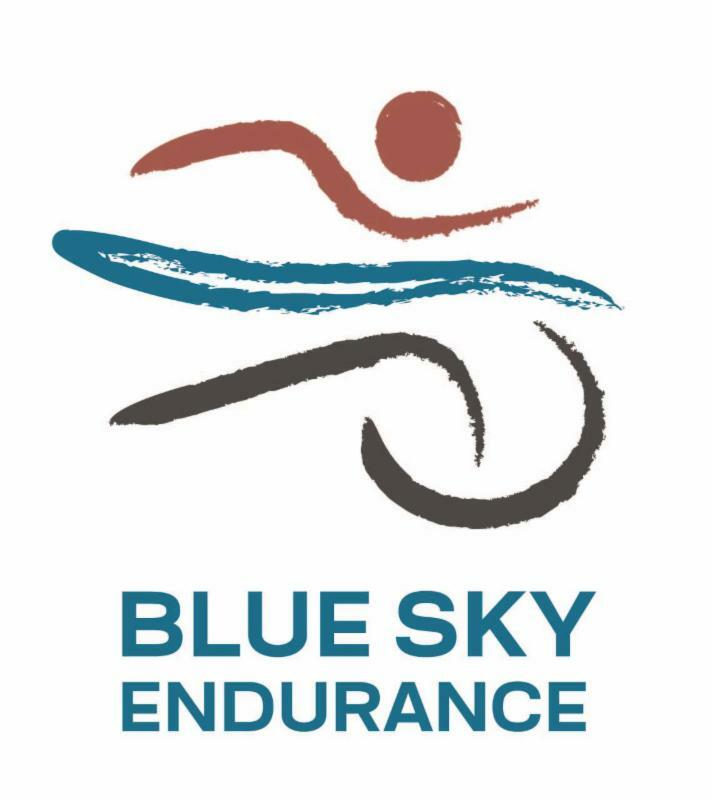 We're looking for people training and racing in Blue Sky Endurance gear. That means YOU! Did you snap a selfie on a morning run? Did you get an awesome race photo last week? Post it on our FB page or your FB page but make sure to tag us, or #blueskyendurance on instagram. You post it, we'll find you. Why should you care?? Because you will win something!! And who doesn't like free stuff?! 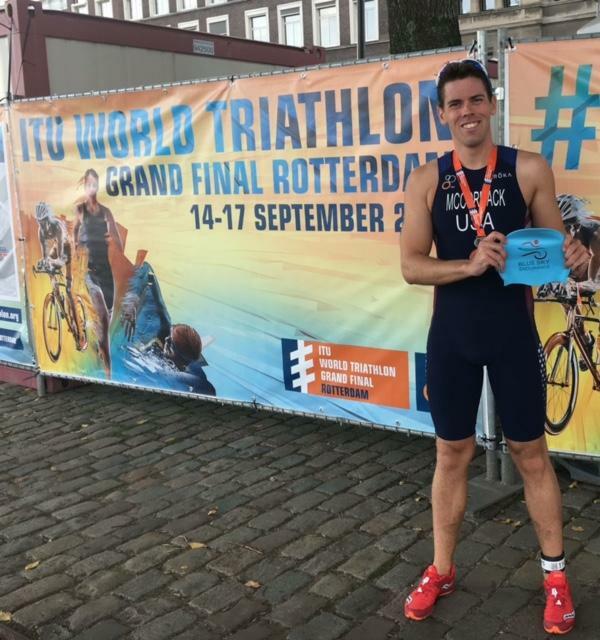 Looky here, Jason McCormack raced at the ITU World Championships in Rotterdam, Netherlands. Just wow. Congratulations to you! And even MORE important we at BSE have a prize for you for showing off your awesome BSE swim cap at the race. Stop by the store at your earliest convenience to pick up your PRIZE. Whoot whoot! Watch out world we have a NEW winner ! Race Season Is Over; Time to Get My Eat On! Whoa, whoa, whoa, pump the brakes. It’s been a long race season and maybe you capped it off with a long race. You are ready for a break and that’s understandable. Heck, it’s the off-season, right? Well, no; not if you want to have an awesome 2018. Let’s change the verbiage because there is no ‘off’ season; rather, let’s look at it as the non-racing season. All too often, during this ‘off season’, athletes do get their Eat on. And by the time January and February roll around, they feel like they are going to roll around because of all the body weight and body fat they have put on. Over the next few months, it is this non-racing season that will set you up for success (or the lack thereof) for the 2018 season. This is when we want to have laser-like focus on our fueling frequency, fueling timing and carbohydrate-protein fat balance. When we focus on eating right and fueling the body right, we can completely change our body composition (for the better) over the next few months. This way, come January 2018, you will be at an even higher fitness level, leading to an incredible 2018 race season. So, let’s grab that lunch pail, let’s put on that hard hat and roll up those sleeves…it’s time to get to work! --How can YOU find out how to "get to work"?? Contact us to find out more about our "non-racing" season training program. The start date of your 'non-racing' season can start anytime! There are many factors that go in to having that perfect swim in triathlon, many require months....years of training. However, lucky for you there is one tool you can buy, and who doesn't love a short-cut! No I'm not talking about a motor, I'm talking about a wetsuit (AKA Speed Enhancer). Yes, Speed Enhancer! A wetsuit provides buoyancy allowing you to swim higher in the water and experience LESS resistance in the water, making you faster. Boom. Mind-blowing. Lucky for you we have a lot of Speed Enhancers at BSE. We have a variety of Blue Seventy and DeSoto wetsuits in the store. Stop by anytime to try one on (Please bring a bathing suit or tri-suit to wear under the wetsuit!). And super bonus, you can try out the wetsuit in the pool to make sure it's comfortable -- just let us know you want to do that so we can ensure the pool will be free. And think about it, if you buy a wetsuit you can give yourself a new nickname: Speed Enhancer! That's cool. Whether you are new to the sport of triathlon or a seasoned triathlete, we are all time crunched individuals with overflowing inboxes. With our monthly Blue Sky Endurance e-news, we will strive to keep it truly monthly, just the facts, but filled with nuggets of quality information to help us all as we strive to improve at the sport in some way or other. Our e-news will keep you in the loop, in the know and spiked with motivation to keep you reaching for Your Sky. Your Limit.